Therefore accept each other just as Christ has accepted you so that God will be given glory. We who are strong must always be considerate of those who are sensitive to different issues. We must seek to serve them and build them up. We must accept our fellow believers just as Christ accepted us. Christ came as a servant for the sake of both Jews and Gentiles. Accept one another as Christ accepted you. Accepting can be a loaded word. Do I accept everyone who claims to be a christian? How far do I go in “accepting” them? We may have doctrinal differences or issues over worship styles with some people. We accept them but with an unspoken condition that they aren’t quite as good as we are. Perhaps we see them as the “weaker believer” that Paul talks about in this chapter. When I was saved, Christ accepted me whole-heartedly. No conditions. No “buts”. Total acceptance. That means I must accept all christians in that unconditional way. No “A-class” and “B-class” people. They are all “A-class” to Jesus. When people refuse to accept me because I don’t measure up to their standards, I have to accept them anyway. My responsibility is to receive people as they are. If they are not able to see that they have the same responsibility then that does not let me off the hook. The commandment is unconditional. Lord Jesus, I thank you for accepting me into your kingdom. I am not perfect, but that does not stop your love. Help me to treat other people in exactly the same way. Show me those whom I overlook or reject and help me to love them with your love. Amen. A Branch will come out of the stump of David’s family. The Spirit of the Lord will be on him- the Spirit of wisdom and understanding, of counsel and might, of knowledge and the fear of the Lord. He will delight in obeying the Lord. He will give justice to the poor. Even the natural order will be changed so that deadly enemies will live in peace together. The heir to David’s thrown will be a banner of salvation to all the world. The great and mighty tree that was the royal line of Judah, the house of David, seemed dead. Like a mighty tree cut down and poisoned, just a stump remained. 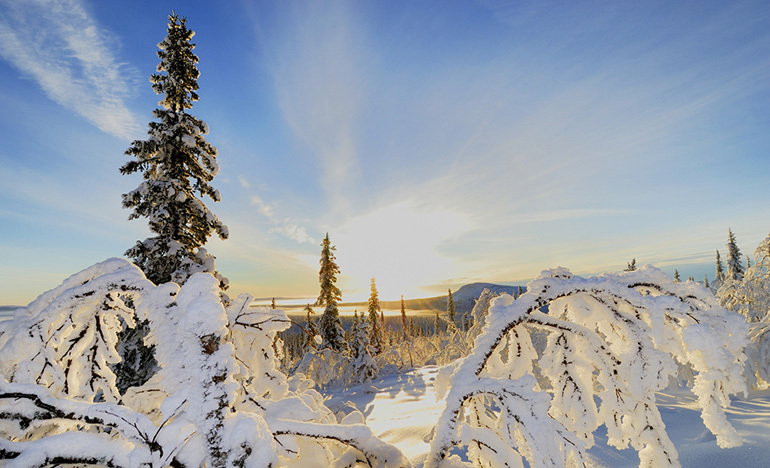 But, Isaiah says, that stump is going to spring forth a Branch who will bear fruit. Jesus is the Branch. He is the one who comes out of David’s line bearing the Spirit of the Lord, and judging in righteousness and gentleness, and winning the whole world to His side. Jesus carries the banner of salvation. He is the banner of salvation. This flag shows how to come back to the Lord. It is a sign of redemption, reconciliation, grace, forgiveness. We were far from God, but now Jesus is this banner, and the whole world rallies to Him looking for the miracle of restoration into the Kingdom of God. Jesus is our King, a royal conqueror who over comes the world with His grace. What kind of King conquers with love? What kind of King wages peace on His enemies? King Jesus- the Son of God, Son of David, redeemer of all. Jesus you are my King. No longer a branch growing from a stump, you are the banner of salvation to the nations. All who come to you will be free of the tyranny of sin. Thank you. Amen. The sermon for November 27th, 2016 is now available on the New Life web-site. In this sermon, which is based on Matthew 24:36-44 I talk about Getting Ready. Clothe yourself with the presence of the Lord Jesus Christ. And don’t let yourself think about ways to indulge your evil desires. Time is running out. The day of salvation is closer than when we first believed. We belong to the light and should put away all the deeds of the darkness. We must live decent lives and have nothing to do with wild parties, immorality, or quarrelling and jealousy. Instead we must put on the presence of Christ and train our brains not to think about indulging sin. Every morning I put on my clothes, and everywhere I go they go also. I don’t think about it, they just follow me. I need to put on the presence of Christ in the same way. Every morning I seek His presence, surround myself with Him, letting Him cover me with His goodness. Then everywhere I go, He is there too, directing, encouraging and leading me in His ways. Of course, it’s not that straight forward. Our minds want to indulge the flesh. Satan stirs up desires in our hearts, and we look for ways to serve ourselves not Christ. Paul tells us we have to train our brains to indulge holiness not sinfulness. If I want to remain clothed with Christ, I must learn to think like Him, to decide to follow His way, not my way. We find ways to excuse our sin. But Paul tells us we need to not only say “No” to sin but to also say “No” to the desire itself. And praise God- this is not just my responsibility alone. It is the grace of the Holy Spirit dwelling in me and making me holy. He will give me strength to change my thinking and reorient my desires towards Him. Lord Jesus Christ, I clothe myself in you now. Come and cover me, surround me. Let my heart and mind be clothed in you so that I think and will your thoughts and your will. Help me to banish all desire for evil and only desire you. Amen. 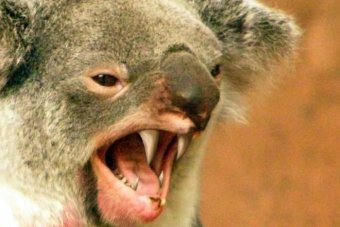 A mythical creature in Australian folklore, the drop bear looks set to have a road named after it near Tamworth, in northern New South Wales. Tales of lucky escapes from drop bears have long been told around firesides to those unfamiliar with the Australian bush. 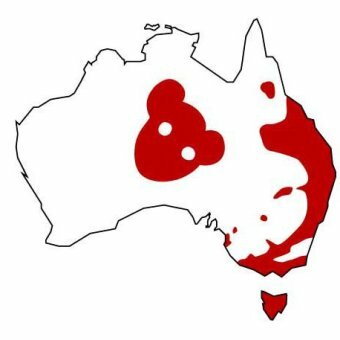 The Australian Museum has gone as far as setting up an information page about drop bears. It states that Plummetus Thylarctos, more commonly known as the drop bear, is the size of a large dog, and has coarse orange fur and powerful forearms for climbing and holding on to prey. It prefers to live in a closed canopy forest or open woodland, and ironically, is never encountered near roads or human habitation. But Tamworth mayor Col Murray said the area surrounding the road that will bear the creature’s name had lots of trees, and a creek flowed nearby. “I’m sure that wonderful, mythical Australian creature will have a very happy habitat up there,” he said. Cr Murray said the discussion on the proposal had been a nice break from the serious business being considered at the meeting. “Sometimes we tend to get a little bit too formal and a little too serious in our council meetings, and it was a nice touch to have that matter before us to consider,” he said. The proposal, understood to have been suggested by a group of residents, was passed unanimously after a short but laughter-filled discussion. The name has already been checked off by the Geographical Names Board. “There is quite a process to go through to name a public road,” Cr Murray said. The official naming of Drop Bear Lane is dependent on submissions made during a public exhibition period. Cr Murray said the proposal was one of the more unusual council had dealt with, and he believed the area could now become a tourist attraction. “I think a lot of people would probably choose to go and have a look at Drop Bear Lane,” he said. “It’s quite a famous or infamous feature in our mythology, and I think it would attract some interest. Individuals will learn from the Lord how to walk in His ways, and disputes between nations will be settled by the Lord and not by war. We are living in the end times, and we already see many of these prophecies being fulfilled. The mountain of the Temple, Jerusalem and Zion refer to the people of God- the church. All over the world people are flocking to the house of the Lord to seek His ways. Excluding some Western countries, this is literally the golden age of the church. Never before has the gospel been preached and accepted by so many people. Despite the constant bad news coming out of Syria and a few other countries, there have never been so few wars. Some people attribute this to the McDonalds effect, but it is more likely the Holy Spirit laying an era of peace and prosperity in the world as the Kingdom of God grows. This is the age of the Holy Spirit as more and more people listen to the “still small voice” and to prophecies and words of knowledge in order to learn of the ways of the Lord. All of this is not without cost- the “birthpangs of the Kingdom.” Satan is enraged that his plan for undermining the Kingdom of God is coming to nothing. The seeds planted many years ago are bearing fruit in many different ways. The fields are white to harvest, but satan looks for ways to stop the harvest coming in- from apathy to persecution. Lord Jesus, you told us to pray that workers will go out into the harvest field. So Lord as the harvest field is right before us, as you draw people to “Zion” and “Jerusalem,” may the gospel be preached in power and even more lives saved. Amen. Never build your case for forgiveness on the idea that God is our Father and He will forgive us because He loves us. That contradicts the revealed truth of God in Jesus Christ. It makes the Cross unnecessary, and the redemption “much ado about nothing.” God forgives sin only because of the death of Christ. God could forgive people in no other way than by the death of His Son, and Jesus is exalted as Savior because of His death. “We see Jesus…for the suffering of death crowned with glory and honor…” (Hebrews 2:9). The greatest note of triumph ever sounded in the ears of a startled universe was that sounded on the Cross of Christ— “It is finished!” (John 19:30). That is the final word in the redemption of humankind.